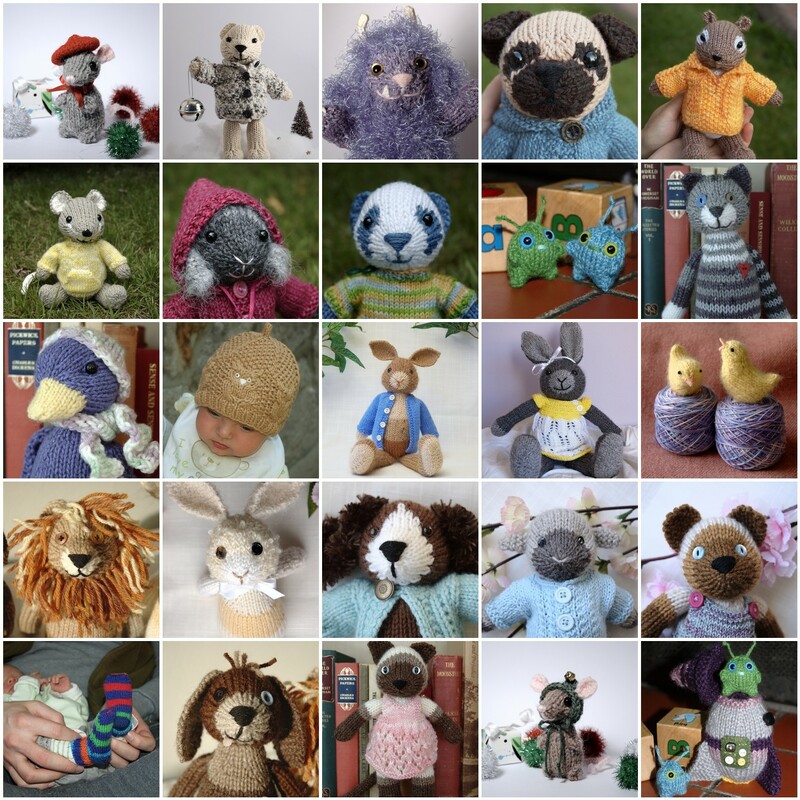 There are several other toys I've made, but which have not been photographed yet. I'll have to do another one of these once I can include everything. I love the stripey kitten with a heart! January 2, 2010 at 2:13 p.m. Bravo!! They are all adorable! I especially love Molly and her lovely dress. Are patterns available for them? Great display of just some of your great work - thanks for sharing! January 3, 2010 at 4:19 p.m.
Molly is made from the Mama and Baby Bunny pattern, but her dress is something I improvised. I won't be writing up the pattern either, as the mace section was a huge pain! January 12, 2010 at 2:12 p.m.